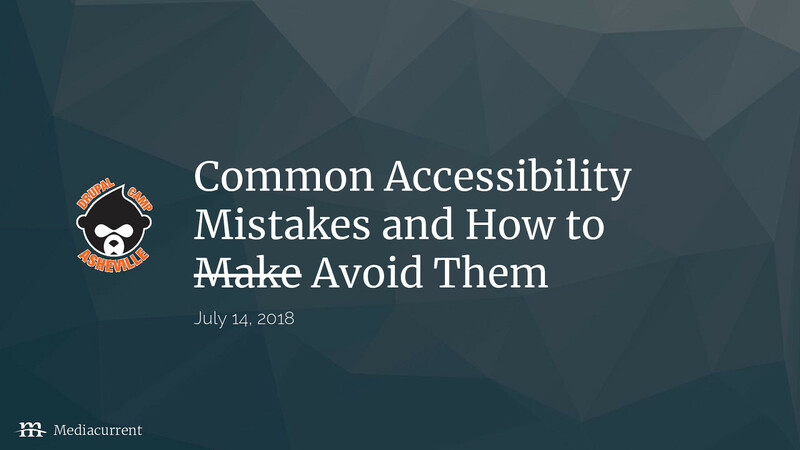 View Common accessibility mistakes and how to avoid them on Notist. For some, accessibility conjures nightmares of garish focus rings and high-contrast fonts. For others, it’s snooze-inducing checklists ad nauseam. With the onerous checklists and guidelines and complicated wording, accessibility can seem like a chore that takes a beautiful design and makes it…less beautiful. But accessible web design really boils down to a few basic principles and when you have these as your first principles when starting a project, you can save your self, your team, and your clients hours of headaches around accessibility testing. Ben puts presentations on for free. You can too.